Wide Ride opens big and flat. The extra wide petals are beautifully ruffled forming a very circular bloom - what is often referred to as a dinner plate form. Our photo doesn't show it as well as we would like, but there are 4 distinct colour zones. 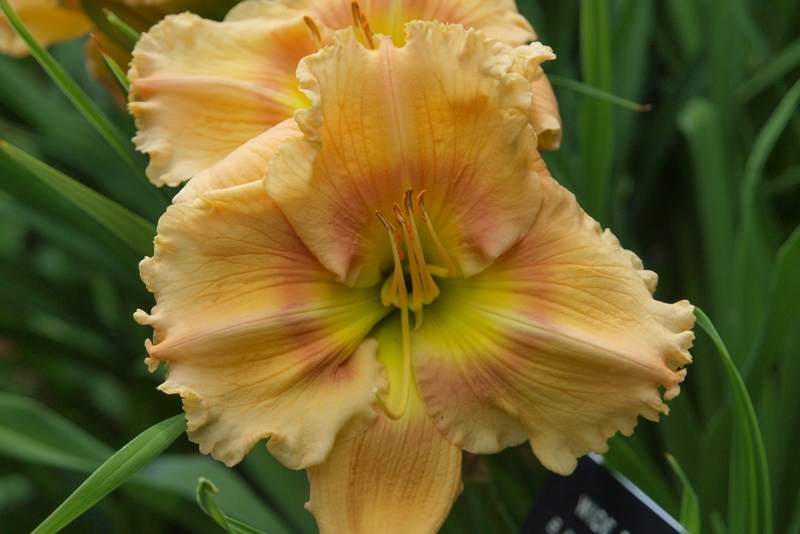 The bloom is cream coloured with darker veining, then the rose coloured halo has ring of yellow inside and finally a bright green heart. Registered as fragrant and extended bloom lasting longer than 16 hours. This is a choice cultivar.